Imagine a world where you don’t have to spend any money on marketing. You have leads pouring in, deals close, and referrals pour in. Imagine being able to grow your sales without spending a dime on marketing. On today’s episode of The Sales Evangelist, Jon Ferrara shares the method he recommends to grow your sales without spending a dime on marketing. 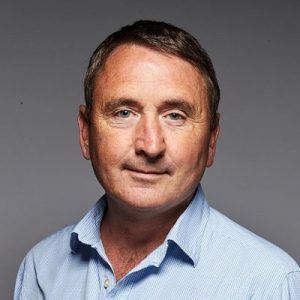 Jon founded GoldMine CRM in 1989 and then sold it in 1999, and he has devoted his time since then to help other people improve their relationships. He also created a social CRM called Nimble. No matter what industry you’re in, you have to find a way to get new leads into your funnel without spending so much money. 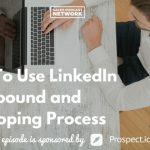 Jon was looking for a way to automate the process of building relationships because he struggled with it as a salesperson and as a businessperson. He wanted to be able to connect more effectively with the humans around him. The result was GoldMine, and it became exactly that for everyone it touched. As an example, consider Jesus. Do you think Jesus spent any money on marketing? He didn’t spend money. He shared words that empowered people and then those people became his teachers and preachers. Jesus created a movement. If you’ll focus on helping other people grow and set yourself up as a trusted advisor, you’ll stay top of mind with your prospect. You’ll grow your sales without spending a dime on marketing. You won’t stay top-of-mind with your prospects by telling them how great you or your products are. Nobody cares about that. Instead, teach others how to become better, smarter, faster, and set yourself up as that trusted advisor. Give knowledge away. If you teach people to fish, they’ll figure out you sell fishing poles. If you do that for your customers and your prospects, and for their influencers as well on a daily basis, you’ll establish your brand, grow your network and create a sustainable garden around your business that will help it grow. That’s what Jon did with GoldMine. He figured out how to reach his prospects’ trusted advisor, in this case, Novell. Jon convinced Novell to use GoldMine, and then they started recommending it. He started GoldMine with $5,000, without ever taking a dime of venture capital. And that was only the first time he grew sales without spending money on marketing. Jon used the one-to-many approach to reach his prospects. If you could find a way to tell your great stories and get other people to tell your great stories around the clock globally, you could build a gold mine. Most people focus solely on their customers and their prospects and they forget about the influencers who interact with those customers and prospects. The secret to success is identifying the influencers of your core constituency. If I was a business technology reseller, I could try to call businesses but they’d probably hang up on me. Imagine, instead, if I built relationships with the trusted advisors of that small business person: maybe their accountant, their marketing consultant, or any one of their advisors. If you can build those relationships, those trusted advisors will help you reach all those people on a daily basis. We built a tool that helped the influencer grow, and they sold it as a solution and not only helped their customer grow but also grew themselves. It became a recursive cycle. Once you’ve built an army of evangelists, you have to amplify that message. Once you convince those influencers to sell to that base of trusted customers, they’ll likely ask you for leads. If you don’t have money to advertise, how will you give people leads? Jon went after the places where his prospects would be consuming information about how to be better and smarter and faster. He went after the business and technology publications and asked the editors and the writers how he could help them write more stories. They needed stories about how businesses were using technology to grow, so he shared those stories. The term CRM didn’t exist then, but he helped define it. 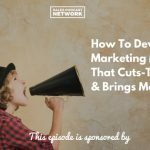 He credits a combination of influencer marketing and guerilla PR that put GoldMine on the map. Your network is your net worth: your personal brand plus your professional network will help you achieve your dreams in life. The more people you help grow, the more you will grow. To do that, you must set yourself up as a trusted advisor to your prospects, customers, and their influencers. The simplest way to do that is to establish identity across all the brands where these people have conversations: Twitter, Facebook, LinkedIn, Pinterest, Instagram, Foursquare, Google Plus, Crunchbase, and Snapchat. Share content on a daily basis that inspires and educates others about your areas of products and services. No more than 25 percent of what you share should be about you or your product. It should mostly be inspirational and educational. You’ve likely forgotten more about your products and services than your customers will ever know in their lifetime. Since you’re likely consuming content every day about your area, just share it with the prospects around you. Identify the influencers, share content, and hashtag it appropriately, (#sales, #marketing, #social) and then @name. It’s like dropping lures outside your boat into the digital social river surrounding your business. Then you listen and engage. You educate with enchanting content with the intent to engage, embrace, and empower the people that you connect to. When you connect with someone, you don’t start selling. You listen and learn. Prepare them before the engagement ideally by Nimbling them. You ask questions and then listen and learn to find ways to add value. And if you do that for another person, they’ll naturally ask how they can return the favor. And you repeat that process at scale for the rest of your life. You’ll build a sustainable garden of prospects, customers, and influencers that will help you achieve what you want to in life. The biggest problem with this whole cycle is if you do what I tell you to do, you’re going to get so overconnected and overcommunicated wit this audience that you’ll need a platform to manage it. We’ve got all these tools in all these places like Facebook, Gmail, MailChimp, and dozens of other places, and contact management is broken. You can only manage about 200 people in your head at a given time, and most people have 1,000 or 10,000 contacts. They need a golden Rolodex, a personal CRM. Instead of Googling people, you Nimble them. and automatically sync every interaction you have so that you have a history of every contact and every followup. If you’re listening to this today and you don’t have a personal golden Rolodex, go find one. If you try Nimble and you like it, I’m going to give you three months at 40 percent off if you use the code Jon40. Most people who are in sales are people people; they are relationship people, not detail people. If you’re in sales, you need a tool to organize yourself. You might want to find another human being who is detail-oriented and become a team. Jon believes that if you do what you’re good at in life and then surround yourself with people that are good at the things you aren’t good at, you can be much more successful. Establish a brand across all the places that are straightforward. People buy from people they like, know, and trust. Going to my LinkedIn profile is like going to my business lobby; you won’t find out much about me personally. Instagram is where you’ll find out more about me personally, and you can connect based on that. People don’t connect because they both love sales. They connect because they value the same things. Don’t just share business stuff. Open yourself up on your social media. You can connect with Jon via email or Google his name to find him on a variety of platforms. Connect with him on the ones that feel most comfortable. Find Vala Afshar on Twitter to see an example of sharing content that educates and inspires at scale. Listen to episode 005 of The Sales Evangelist to hear Judy Garmaise talk about the importance of followup for salespeople. When it’s time to follow up with your leads, Prospect.io can make your followup that much better. It has literally changed the way I prospect, and I love it.